On Saturday April 13, the University of Nebraska at Omaha hosted the Leadership Africa Summit in the Strauss Performing Arts Center to generate rich networking opportunities and give students a chance to learn leadership, entrepreneurship, branding and culture. 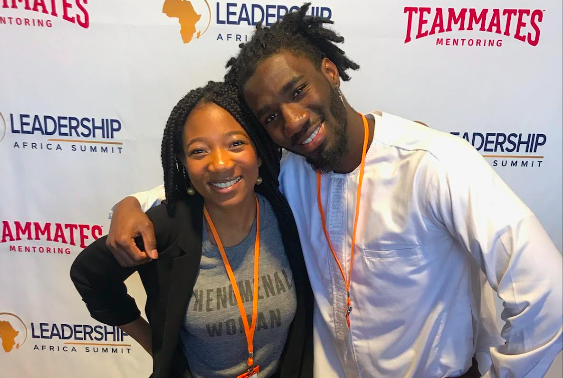 “The conference is called the “Leadership Africa Summit” because it aims to gather young professional African leaders, entrepreneurs, and people who love Africa or are curious about its culture.” said Marco LeRoc, the summit’s founder. According to the Leadership Africa Summit website, the summit is the country’s number one gathering of high-achieving young professional African leaders, entrepreneurs, game-changers and people who cherish Africa. UNO was chosen as a location for the summit for its central and accessible location and to encourage students to attend. The summit offered several breakout sessions and panels for conversation about the culture and gave a chance for students to network with other professionals. Humanitarian and motivational speaker, Dr. Tererai Trent gave the keynote speech at the summit. Other speakers in addition to Trent came from across the United States to evoke lively conversation, inspire and inform attendees with their powerful stories and teachings. Uplifting professional knowledge and amplifying diversity was the main goal of each speaker. Speakers at the conference have been featured in The New York Times, CNN and other major media outlets. Other than speakers and panels, students had the opportunity to acquire professional knowledge, be inspired to take actions, communicate and know how to work with people from different cultures. Workshops such as “Leading across Different Cultures” gave students knowledge on how to live and work better with people from many cultural backgrounds and take advantage of rich, varied circumstances while strengthening communication and understanding. “I wanted students to connect and build professional relationships for career opportunities in the future and learn more about diversity.” LeRoc said. Through providing opportunity to learn from community leaders and those from around the world, The Leadership Africa Summit gave insight into African culture and provided an educational, vibrant and inspiring message throughout the day for students and other young professionals.